Actress Rachel McAdams (The Family Stone) has been cast as Irene Adler, Sherlock Holmes’ love interest in the forthcoming adaptation from director Guy Ritchie (RocknRolla) starring Robert Downey Jr. (Tropic Thunder) and Jude Law (Sleuth). Series creator Shane Black has written and intends to direct Lethal Weapon 5, which introduces two young new NYPD cops (wait, aren’t the Lethal Weapon films set in LA?). Plans will move forward as soon as series co-star Mel Gibson approves the script. In the meantime, Black is directing Cold Warrior. Steve Pink (Accepted) will write and direct a remake of the 1988 comedy Dirty Rotten Scoundrels. Apparently several big names are interested in joining the cast. Harold & Kumar creators Jon Hurwitz and Hayden Schlossberg will write and direct Til Beth Do Us Part, a comedy about two buddies whose friendship is put in jeopardy when one of them gets engaged. 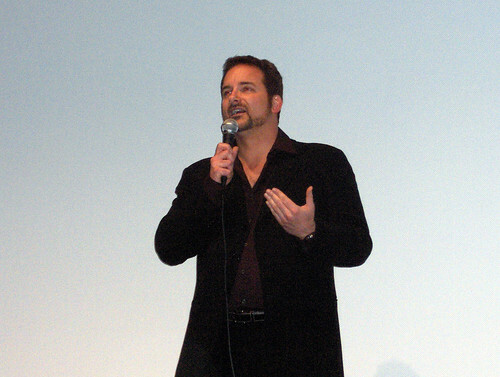 Shane Black to direct again, not write? Good news everyone! Legendary screenwriter Shane Black will direct another movie, following his 2005 masterpiece Kiss Kiss Bang Bang. The catch? he’s apparently not writing the film (what’s the point?). Instead, it was penned by newcomer Chuck Mondry. Titled Cold Warrior, the possibly awesome film will be set during the Cold War, dealing with a spy coming out of retirement and teaming with a younger dude to stop a Russian plot against the United States. I can’t wait.